Municipal bond mutual fund investors are panicking this weekend after the U.S. Commonwealth of Puerto Rico’s Legislature passed a new law allowing public agencies to default on their debt. Although part of the United States, Puerto Rico in the 1990s made Spanish the official language and now about 86% of the island does not speak English in the home. 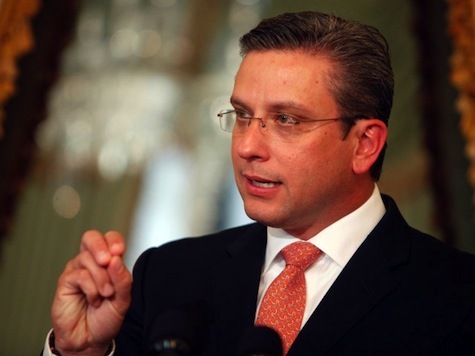 Democrat Governor Alejandro Garcia Padilla, who has difficulty speaking English, told Bloomberg News last year that Puerto Rico had a constitutional and moral obligation to not default on the island’s $73 billion of debt. But he just passed a law giving local court proceedings the power to cancel much all of the island’s bond debt. Puerto Rico is the poster-child for multiculturalism with both Spanish and English as the official languages. US officials pushed for many years to make English the dominant language, but in 1991 the Puerto Rican legislature issued a bill making Spanish the official language in school and government use. The decision was reversed by a federal court in 1993, but the Democrat Party that has dominated politics for 100 years demanded that schools continue to shun English. Today only 1 in 8 families speak English as the primary language in the home. Puerto Rico economy is now shrinking at a 6% annual pace and only 1.2 million, or 32%, of the island’s 3.7 million of the inhabitants employed. Among Puerto Ricans working full time, surveys reveal that 96.6% say Spanish is their first language, and 98.5% indicated that they are fluent in Spanish. Because of its horrible economic fundamentals, the island’s high yield bonds have been a magnet for mutual fund investors, which hold at least $12 billion of the island’s debt. Some politicians have argued that Puerto Rico needs to more fully adopt English, but most Americans do not know that English is not the official language of the U.S. federal government. Although many states have designated English as an official language and no state has designated Spanish as an official language, Spanish-language documents are regularly available in states with sizable Spanish-speaking populations. New Mexico, Rhode Island, Oregon, and Washington have signed a resolution known as “English Plus,” which expresses support for multilingualism in the United States. The Puerto Rico Department of Education only requires that students have 50 minutes of daily English instruction throughout their twelve years of schooling. The 1995-96 academic assessment data showed that 81% of the students in the Public School System had not developed the “basic” English language skills necessary to be able to use it in either oral or written discourse. Just 60% of the 25 and over population of Puerto Rico graduated from high school compared to over 80% in the U.S. The Puerto Rican economy should be enormously benefiting from the fact that Commonwealth residents are exempt from paying U.S. federal income taxes, unless the income is earned outside of the island. But poor English language skills are the main impediment to relocating call centers and other U.S. service businesses to Puerto Rico. Of their $73 billion of debt, $56 billion is in the form of municipal bonds and a quarter of that is held by unsuspecting investors in their tax-free mutual funds. On a per capita basis, that debt burden works out to $14,000 per resident; 10 times the average of the 50 states and higher than every state except California and New York. In addition to debt, Puerto Rico also has a public employee pension plan that is only 11.2% funded. The current $30 billion in unfunded pension liabilitieswould add another $6,000 in per capita liability to each Puerto Rican resident. 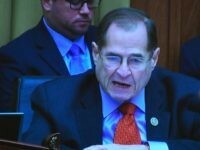 Congress also announced on July 11th that they are investigating Puerto Rico’s nullification of a signed agreement that would have returned about $230 million in overpaid taxes to a major bank. The U.S. backed Federal Deposit Insurance Corporation warned that Puerto Rico’s action against Doral Bank could cause a major loss to the U.S. Treasury if Doral bank failed. Democrat Governor Padilla’s plan to solve Puerto Rico’s debt crisis was enacting $1.3 billion of new taxes last October to fund “targeted spending to kick-start the economy.” At about 10% of the government’s general fund spending, the tax increase would be the equivalent of President Obama raising taxes by $378 billion. The two largest federal tax increases in history were both less than $80 billion in one year. The tax increase means that the Commonwealth’s taxation rates now offset 88% of the federal tax exemption advantage. But maybe the economic kick-start will be from all the local hotels and casinos filling up with bondholders as Puerto Rico USA defaults.